I grew up in Brooklyn, NY. When I was 15 I played piano in a rock and roll band. I became involved with a community theater group that rented a storefront and paid the rent by having a coffee house with an open mic every Friday. I got to meet a lot of interesting performers and heard a diverse range of musical styles. I gained experience as a performer and I started writing songs. Around this time I met a a guy named Glenn who was to become a dear friend. Glenn played guitar and sang folk songs. He was the person who introduced me to traditional folk music and the singer/songwriters of the 50’s and 60’s. in a finger style I had not heard before. He had a very expressive, soulful voice. 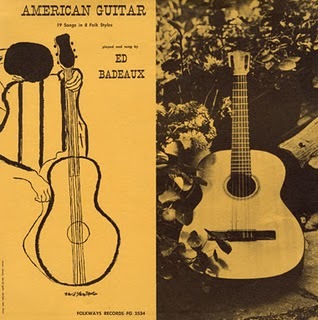 Years later I learned that Ed had recorded a few albums in the 1950’s and had been the editor of Sing Out magazine for some time. Ed would perform at the coffee house now and then. It was always a treat. I was very moved by his playing and singing and this was a turning point for me. Sometimes the nature of an influence can’t be explained. I had never heard a dulcimer before but I had an overwhelming draw to the instrument. This was around 1973 or so. I could not find a music store in New York City that sold dulcimers and it was rare to find a store with someone who knew what a dulcimer was! A year or so later I came across a store in Greenwich Village that shall go nameless. This store had all sorts of exotic instruments including a bunch of dulcimers. They asked how much I had to spend and sold me a dulcimer that was worth at least half of what they charged me! Of course I didn’t know this at the time but it got me started as a dulcimer player. 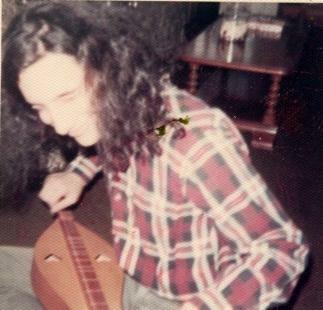 There were very few books and recordings featuring the dulcimer back then. I was able to learn the tunings and the basics but I had to take it from there on my own. I knew enough music theory to figure out where the scales and chords were. I did not know what was considered possible or impossible to play on the dulcimer and this lack of knowledge served me well. I knew the dulcimer was not chromatic but other than that I assumed that anything I could not play was a limitation of my ability and not a limitation of the dulcimer. This outlook caused me to try and play anything I thought should work and this included just about everything. A few years after I started playing mountain dulcimer I heard a man playing hammered dulcimer on the street. Once again I was struck with a strong sense that I had to learn to play this instrument. Once again I was not able to find an instrument in New York City. Dulcimers and hammered dulcimers just were not that popular in the Big Apple back then. An acquaintance mentioned he knew a woman who had a dulcimer but she didn’t know how to play it. I went to visit her thinking she would have a mountain dulcimer but what she had was a hammered dulcimer. She lent it to me so that I could learn to play it and then teach her. She decided she was more interested in the mountain dulcimer. I had recently begun making mountain dulcimers so I traded one I had made for her hammered dulcimer.